Join us for an interactive and hands-on workshop that aims to increase our awareness of plastics. Adults and children alike are invited to learn about the lifecycle of plastic products and the environmental difficulties with their disposal. Powerful Plastics – an introduction to why plastic is useful, but also why it causes us problems! Plastic Lifecycle Challenge – work in teams to map out the journey our plastic products take, and where they end up when we don't need them. Waste Prevention - learn about the hierarchy of waste while playing the waste prevention game in pairs. 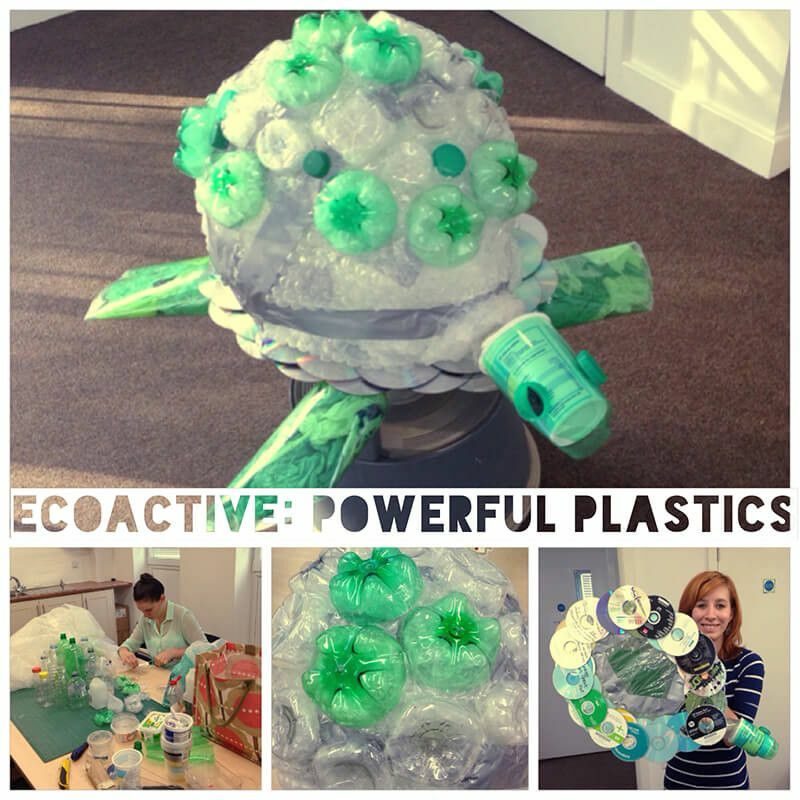 Plastic Upcycling – get creative and come up with a new and useful product using unwanted plastic waste. Please note this workshop will take place in the Bow Arts Courtyard, next to the Nunnery Gallery. ecoACTIVE is an innovative environmental education charity with a reputation for using hands-on practical approaches to explore complex issues of sustainability. ecoACTIVE envisions a world where young people and communities are agents of change for creating a better planet. Find out more about them at https://ecoactive.org.uk.